Microsoft announced the cross-device Windows 10 towards the end of last year. With this announcement, it was expected that more apps will now start working better with the new platform. However, in what appears to be devastating news, HERE Maps has revealed that it will no longer be supporting the Windows 10 platform as from March 29. According to the company, which was previously owned by Nokia and then bought last August for $3 billion by three companies – BMW, Audi and Mercedes – they must redevelop their entire line of apps in order for them to be compatible with the new Windows 10. As a result, the company has decided to opt out of the Windows 10 Store. 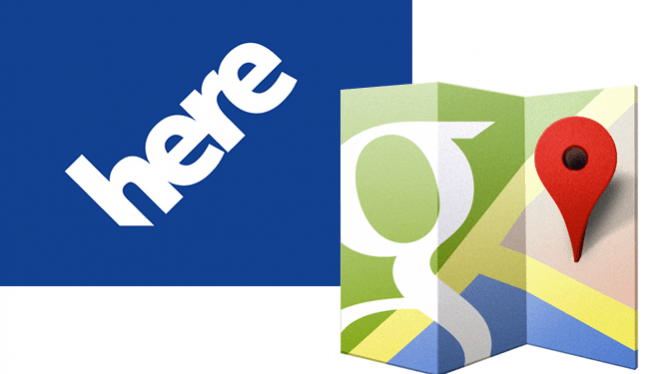 The workaround that the HERE Maps app has been using to work on the latest Windows operating system will stop functioning as from June 30. This is pretty sad news for those who had begun getting used to the new Windows 10 on their phones; however, there is still some hope. If you are still madly in love with the HERE Maps, there is still a way you can use this application. As it appears, the current issue only affects devices running on the current Windows 10. If you own a device with the older Windows Phone 8, you can still use this application while at the same time receive the usual fixes to critical bugs, but there won’t be any updates regarding new features and functionality. So, if you really need to use the HERE app, your only bet is to get a device running on Windows Phone 8. Microsoft is a giant when it comes to the PC world. However, it has always found itself struggling against the major names in the mobile industry – Google and Apple. These two companies are behind the world renowned Android and iOS operating systems. The move taken by HERE is basically to ensure that all of its efforts are now directed towards this huge market that keeps growing day and night. For instance, the HERE Maps for iOS was recently updated with support for 3D Touch features as well as new transit directions that cover over 1,000 cities across the globe. It is reasonable for HERE Maps to move away from Windows Phone due to its poor performance in the market (it accounted for about 1.1% of the entire smartphone market in Q4 2015). However, it will be troubling news for Microsoft with respect to Windows 10 as it had hoped that it will be easier to attract more developers to this platform. As it seems, the Redmond Company will have to rethink its strategy, maybe it’s one reason it recently acquired Xamarin.